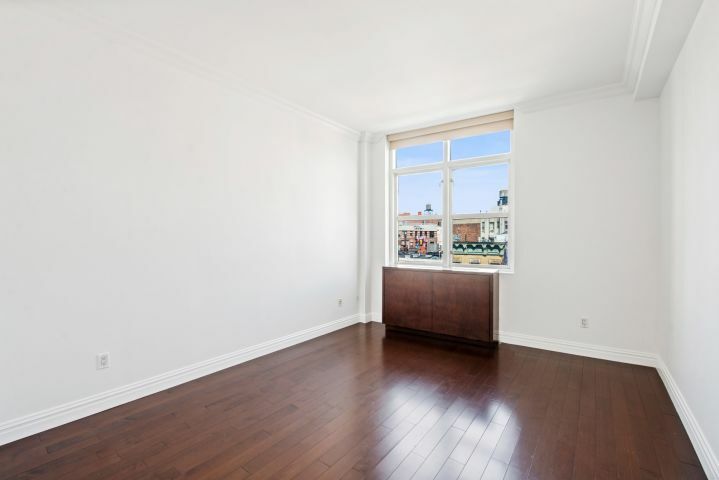 Overly spacious 1300+ square foot 2 bedroom 2 bath apartment located in the heart of Greenwich Village just 1 block from Washington Square Park. This fantastic home boasts high ceilings, wood plank floors, separate gourmet granite kitchen with sub zero refrigerator, double drawer dishwasher and wine fridge. The lavish master suite features a large soaking tub, and double sinks as well a extravagant closet space. Washer/Dryer are in the unit and A/C is central. The loft-like living space with its 10' ceilings is flooded in sunlight with postcard views of the village. Building amenities include virtual doorman for deliveries and security, cold room storage, fitness center, children's play room and residents' terrace.